The Youth Mission Trip with OLOL to COCOA BEACH, FL, from Sunday, July 7-Friday, July 12th to serve the poor. The cost is $650, and I will help with fundraising when I can. It is a $100 deposit to hold my seat on the bus. Fraternus is a virtue based mentoring program with the goal of mentoring young Catholic boys into virtuous Catholic men - men of chastity, integrity and discipleship. Seeking to renew the masculine heart through authentically Catholic formation in virtue, this brotherhood of disciples is open to all young men in grades 6 through 12. The group meets every Monday Night at OLOL from 6:30-8:30, and we are always looking for more men to step up as mentors. Contact: Danny Snyder at 615-438-8626 danny@apple2apple.com, Mike Zimmerman at 615-854-4263 mikez@ololcconline.com. Prayer over the King: Joey! Fathers are encouraged to attend! HAWC Excursion begins Friday, October 20. If you have not done so, you need to register as a Captain or Brother: click Chapter Registration. Meal List! Taking meals together and socializing over food is an integral part of the Fraternus program. Sign up today – it’s easy! 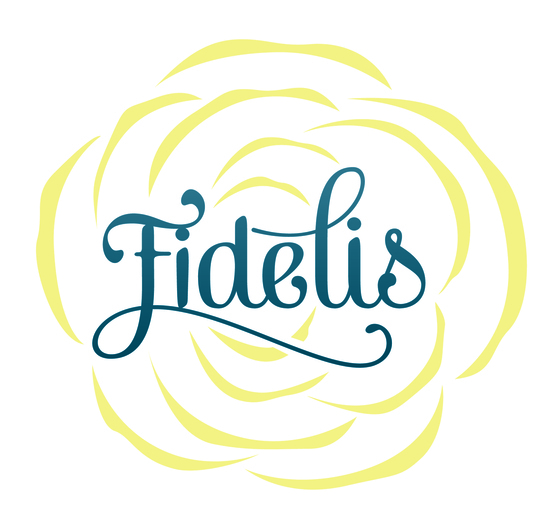 Fidelis is the sister ministry to Fraternus. Like Fraternus, it is a virtue based program. This program is designed for young women in grades 6 through 12. We meet weekly for friendship, fun and formation in the three theological virtues of faith, hope and love along with the four cardinal virtues of prudence, temperance, fortitude and justice. By accepting weekly invitations, which coordinate our virtue study with Sunday’s gospel, women and girls seek to support each other in walking this path to joy in Christ. We are a sisterhood that enjoys sharing our faith while working together to develop and understand true femininity according to God’s will. All girls ages 11 through 18 are invited to join! We are in need of more women to mentor. If interested, please contact Shannon Russelburg at 615-974-6982. Fidelis meets Monday nights during the school year at OLOL from 6:30 P.M. to 8:25 P.M. in the teen room downstairs by St. Joseph’s hall. FIDELIS RANCH REGISTRATION IS NOW OPEN! Price includes all four nights of lodging, all activities & three meals a day while at Ranch. Local Chapters arrange transportation. $50 Nonrefundable Deposit is due at the time of online registration. *If your parish is a Bosco Society Contributing Parish, scholarships may be available. Please talk to your Lead Lady to find out more. Please submit essays to Shannon Russelburg by April 30, 2018. This year, we will be offering partial scholarships for those that submit a qualifying essay. Amount to be determined based on number of qualifying essays received. We look forward to receiving your essays. Lakehouse meets on Wednesday nights during the school year and begins with Mass at 6:15 PM. In addition to the Director of Youth Ministry, Adult Core leaders guide high school students through the Catechism of the Catholic Church in an engaging program. High School students are given opportunities to grow closer to Christ through Masses, large and small group talks, guest speakers, games, outdoor adventures, retreats and mission trips. Parents participate by working in teams to provide Wednesday night Lakehouse dinners 2 times per semester. To join our youth ministry team, contact Mike Zimmerman at 615 854-4263 or 615 338-3903. Middle school youth activities are published in the weekly bulletin. On Saturday nights at 5:00 pm, a middle school group called ARK meets for Saturday Vigil Mass. After Mass, the group convenes in the Youth Room for devotion, an activity, and concludes with Adoration. Middle school youth also gather in the St. Joseph Hall after Religious Education on Wednesday nights for games and prayer. Middle school students enjoy a week of Catholic Summer Camp at Hidden Lake in Georgia in June. To join our middle school youth program, please contact Rob Walston at 318-658-5835 or 615 338-3903. For more information, please contact the Director of Youth Ministry : Mike Zimmerman 615-854-4263 or 615 338-3903.